Recent studies suggest that customer experience will surpass both price and product as the primary brand differentiator by the year 2020. That said, to win on tomorrow’s commercial battlefield, eCommerce brands must place significant focus and attention into the customer experience they deliver to their existing consumers and potential prospects. A business’s digital marketing campaign or strategy is only as strong as the promises it delivers and the customer service it offers across all consumer-facing platforms and touchpoints. Fortunately, we live in an age where artificial intelligence (AI) and machine learning (ML) are quickly becoming an everyday part of our personal and professional lives. At present, just 15% of enterprises are using AI as part of their business initiatives. However, 31% have confirmed it is on their agenda in the near future. AI and ML technology have the power to make eCommerce ventures smarter, more intuitive, more streamlined, more productive, and better equipped to offer a seamless level of service to their customers – chatbots are no exception. Fundamentally, chatbots are advanced autonomous computer programs that are able to synthesize human conversation or chat, driven by artificial intelligence technology. Presently, a chatbot can communicate with a real human, but applications are currently under development to allow two chatbots to converse and achieve specific commercial outcomes, as a pair of colleagues within an organization might. In eCommerce, chatbots are utilized for communicating with customers through various mediums (email, online chat, social media, etc.) to help with queries and conduct a host of practical tasks – and the more chatbots work, the more they learn, from us. Customer analysis: Autonomously tracking consumer purchasing patterns and monitoring data to deliver invaluable insights. Lead-nurture: By leveraging the consumer analysis data from chatbots, it’s possible develop customized or tailored messaging campaigns that guide the prospects through their buyer journey. Ad personalization: According to an industry survey, one-third of senior marketers feel that personalization is their top priority – and chatbots can generate bespoke ads based on the interactions they have with particular consumers – very intelligent indeed. Now that we’ve established what chatbots are, what they do, and how immense is their value to the modern eCommerce business, let’s explore the four early adopters of this AI-driven technology and how they use it to their advantage. Upon realizing the untapped potential of chatbot technology, Mexican-inspired fast food mogul, Taco Bell, launched an AI-driven ordering facility through Slack Chat. This smart facility gives customers the option to order their food from their smartphones by communicating with a chatbot as if they’re conversing with a genuine human being. In a hyper-competitive sector, Taco Bell implemented the chatbot ordering service to strengthen its value proposition and offer its customers a whole new dimension of novelty and convenience. By launching the service on Slack, the TacoBot was able to tap into the informal, conversational mindset of its users – and this initiative was incredibly well-received by customers and critics alike. By its very nature, the travel industry is a sector rife with customer complaints, issues, curiosities, and queries 24 hours and day, seven days a week. As a colossal US-based travel organization, AmTrak has 20,000 employees and serves 30 million passengers per annum. Drowning in customer requests, transactions and booking queries, the company identified a need for a new approach to its digital strategy – and in response, it launched Julie, a chatbot-powered assistant. Designed to operate like Amtrak’s best customer service operative, Julie is able to help consumers who receive booking information, seek personalized answers to FAQs, secure bookings, and make hire car or hotel reservations, all through the online chat functionality. As a result of this chatbot-inspired initiative, Amtrak now successfully answers around a whopping five million questions per year and has seen an 800% return on investment, as well as 50% year-on-year growth. Anymail Finder began its life as a two-person start-up venture with the aim of offering a savvy, modernized way of managing and finding important business-related emails. As a small but ambitious operation, Anymail finder discovered that they were incredibly stretched between sales, marketing, and customer support, answering similar questions over and over again via email, losing time and productivity as a result. To solve this issue, co-founder Pardeep created a series of comprehensive articles to answer the most common questions directed at the company, before incorporating the content into readymade responses in addition to automated messages. As a result, inquisitive site visitors were met with one of 10 automated chat messages, depending on the page on which they arrived. When a user replied to an automated message, Anymail Finder employees received a push notification so they could swiftly respond to each inquiry and nurture potential leads. The result? Not only did Anymail Finder discover that 90% of notable customers ask questions before converting, but the startup also earned an estimated 60% of revenue from chatbots. Database and development platform provider, MongoDB, is another contemporary eCommerce venture that has benefited greatly as a result of using chatbots as part of its marketing strategy. While the business was enjoying a great deal of success with its live chat service, like most human beings, its salesforce was limited by time, spending a significant amount of it responding to queries. As a result, the company was unable to increase the level of conversations they were having without significantly increasing the size of their team. By using chatbot developer Drift at the core of its efforts, MongoDB used the company’s Leadbot to ensure that members of the sales team only conversed with those deemed most likely to buy from them, allowing the machine learning entities to take care of the general inquiries, boosting productivity and assisting with conversions. What’s more, by utilizing an AI or bot-powered meeting scheduler, prospects didn’t have to play phone tag to book an appointment – a level of functionality that proved particularly fruitful for the business. By embracing the power of chabot technology, MongoDB earned its net new lead generation by 70% while boosting its total messaging response by 100%. 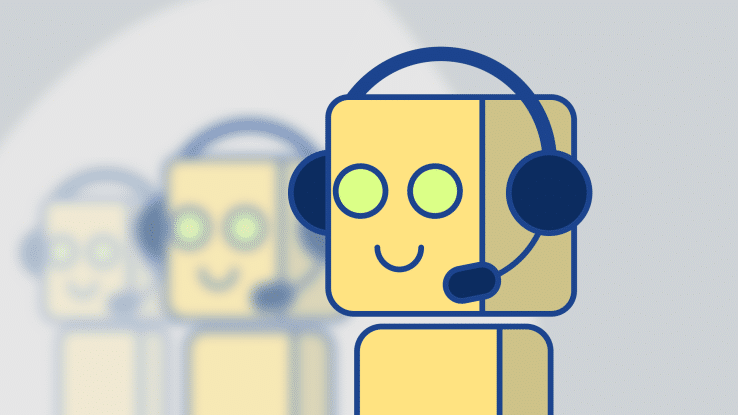 When it comes to gathering priceless consumer intelligence, generating valuable new leads and providing a flawless level of customer service, it’s clear that chatbots are the way forward and should form a core part of your eCommerce businesses digital marketing strategy, regardless of your sector or industry. By using these four companies for inspiration, you will be able to identify which areas of your business could benefit from chatbot technology and implement a strategy that will earn you more leads, increased conversions and a boost in brand authority. For more eCommerce sales and marketing tips, check out five definitive steps to boost your brand’s customer experience offerings.